She has a two stateroom layout (Queen size berth forward and single upper and lower berths to port), a tasteful salon, and beautiful teak joinery, solid surface granite countertops in the galley and head, a plush lounge, full-featured galley and entertainment system. The bridge deck features three STIDD helm chairs with an L-shaped lounge to port rod storage below. To starboard, a molded fiberglass console. This vessel has been meticulously maintained and is seriously for sale. The MAN1360 has only 920 original hours and she is ready to go. Don’t miss this opportunity to get the nicest 52 on the market. 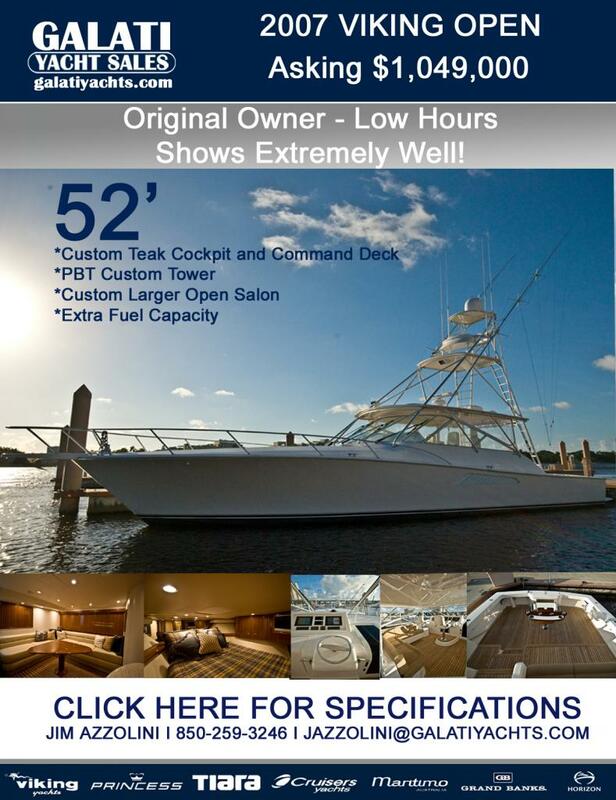 Obsession is a lightly used single owner gorgeous 52’ Viking Open rigged out and spec’d by a knowledgeable team. Attention to detail is eminent inside and out. 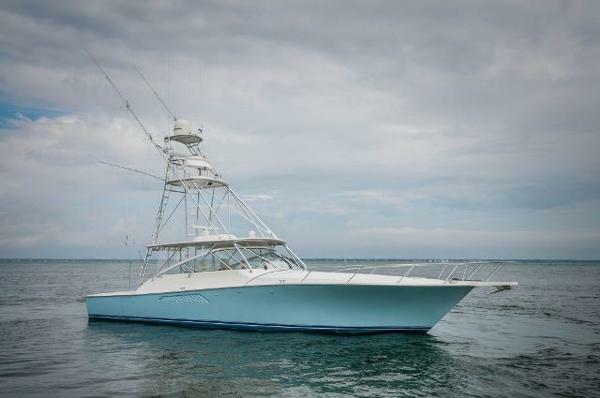 A perfect day boat for fishing and cruising the Bahamas or adverse canyon runs with ample speed, comfort and range. 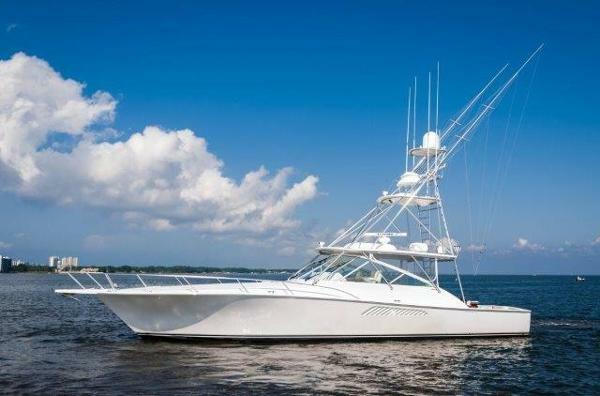 Obsession is equipped with an excellent electronics package, custom Teak cockpit deck, mezzanine and command deck, Eskimo ice machine, Custom STIDD Helm Chairs, and Release Marine Fighting chair, Palm Beach Tuna Tower, extra fuel capacity, SAT phone and SAT TV.